is an Ethnotronic collaborative, brainchild of Flautist Shriram and Percussionist Swarupa, who organically combine virtuosic improvisation with electronic soundscapes and hypnotic grooves. 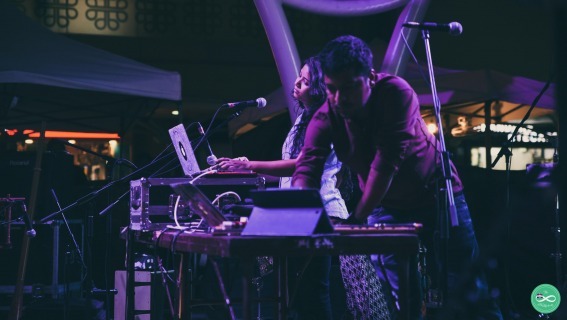 Having spent the most part of the last two years touring and playing music festivals around the world the duo also successfully released their debut album “Raagatronic” ranking number one on the iTunes India music charts. "This Coffee Is Brewing Up A Storm"
experimenting with a variety of flutes. Apart from being a sought after session artiste for Films/Ad/Jingles/Documentaries/TV Serials, Shriram’s recent projects include collaborations/performances with the likes of Talvin Singh and State of Bengal. 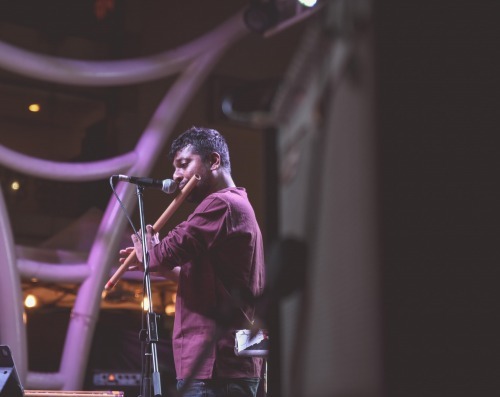 One half of Filter Coffee, Shriram creates a unique texture of the flutes by using electronic pedals/processors for live performances and carves the electronic soundscape of Filter Coffee. With an experience of playing the Tabla for over 20 years, Swarupa a disciple of Ustad Allarakha & Ustad Zakir Hussain, plays the whole gamut of percussion instruments, from the Djembe & Darbuka to the Cajon and Timbale. She has recently collaborated with A.R. Rahman on MTV Unplugged and has also marked her place in the Forbes ‘30 Under 30’ list of 2015. 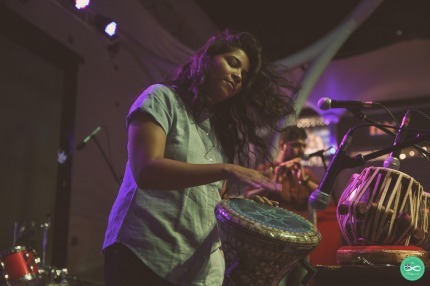 The other half of ‘Filter Coffee’, Swarupa is responsible for the hypnotic grooves and is known for her own signature & inventive style of blending beats with fiery Tabla Bols. "Eclectic brew of ragas and e-beats"
"ethnic but with a twist"